You’ve probably heard that the number of people working virtually from home is on the rise. Maybe you even have a Facebook friend or two who have started working from home. And the FREEDOM that comes with starting a work-from-home career sounds amazing. Working from home sounds like the perfect solution – you get to be home with the kids, without having to sacrifice a second income. What would your services be? How do you find the people who need those services? How do you get those people to pay you? If you have all these questions swirling in your head, it’s okay – you’re definitely not alone. It’s a process that most people go through when they start to dream of the work-at-home possibilities. Most people stop there. Don’t let that be you. If you really want this, it’s time to break free from the swirling spiral of questions going on in your head. If you’re really interested in starting a thriving work-from-home business, you need to get un-stuck. Work Your Way 2019 is a FREE two-week, online event hosted by my friend and Work-at-Home expert Caitlin Pyle. 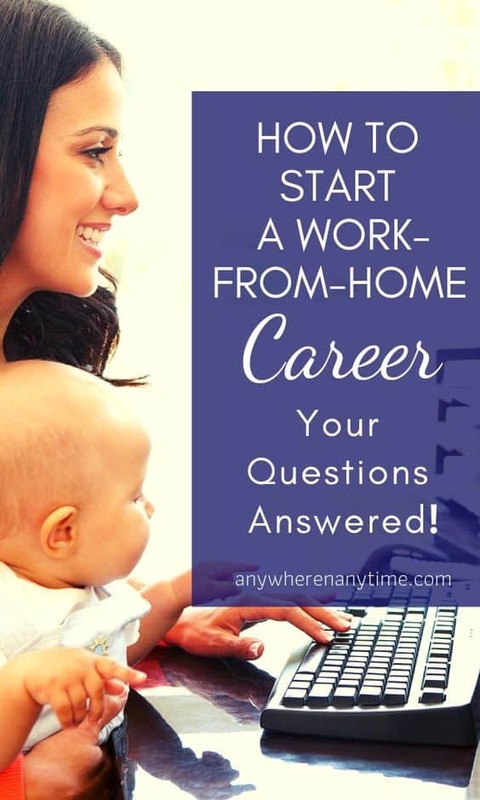 It is the place to start getting your questions answered about how working at home works. The event is packed with value and FREEBIES. To start, you’ll learn Caitlin’s Proven 3-Step Plan to work from home (and how to apply the steps in your own life). 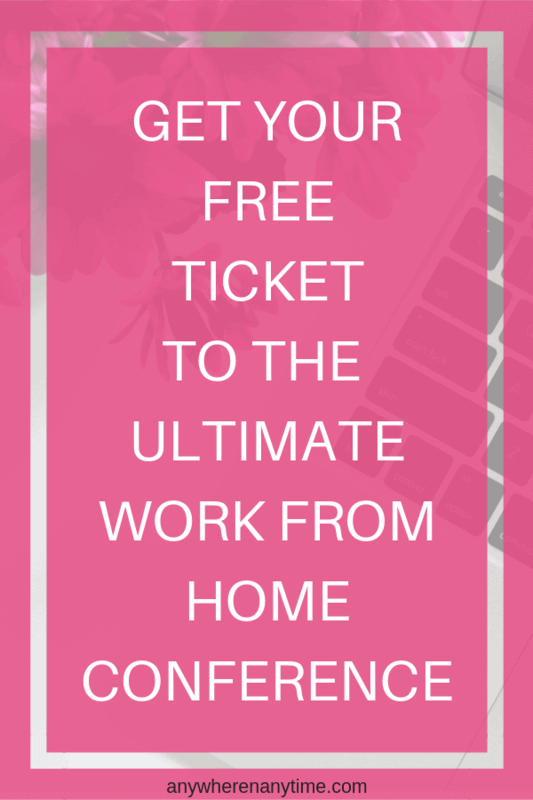 You’ll get also get FREE admission to the Work-at-Home Summit 2019, and you’ll get access to NINE watch parties/Live Q & A sessions with Caitlin and her team. It’s a no-brainer if you want to work from home but aren’t sure how. UPDATE: Work Your Way 2019 was awesome! It has ended and the Summit is not available for viewing right now, but you can click here to get an update as soon as it opens again. Sounds simple, right? Just show up? But it is so easy to let life get in the way. If you make arrangements now to be fully present when it is time for conference events, you’ll increase your chances of actually showing up for the event substantially. If something does come up that you can’t avoid, there will be replays of various events available and you get lifetime access to the Summit videos. Keep this in mind for when the Summit becomes available again! To propel yourself forward toward work-at-home success, engage! By taking responsibility for your own success and taking action towards getting your questions answered, you’ll uncover your next steps much faster. 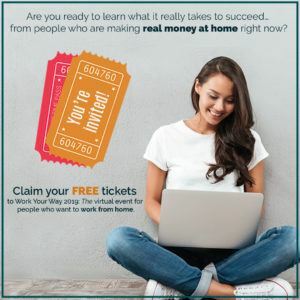 When you sign up for your FREE ticket, you will get access to the Work-at-Home Heroes Facebook Group. If you don’t normally interact in Facebook groups, it might feel a little weird to start asking random strangers your questions. But don’t be afraid to participate! If you have a question, someone else has the same one and is afraid to ask. 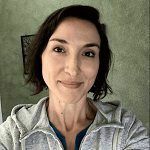 Ask Caitlin and her team your questions; reach out to the people in the Facegroup group who are already working from home and get their thoughts. Most of us who work from home LOVE to chat about it and to share our struggles and successes. This Facebook group can be an incredible support system of people who want you to succeed, and many people even find accountability partners in groups like this. Get a journal or a notebook, and write everything down so you can refer back to it. Write down your fears, your skills, your questions, your goals, your dreams, and the answers you get to your questions. As you’re experimenting with working from home, write down what you liked about different providing different services, and what you didn’t like. It will be a valuable resource for you as you begin to grow a business you love. In addition to viewing the videos and participating in the discussions, completing free courses is a great way to get more information about the different work from home career options. Taking a variety of courses will give you an idea of what you like and what you don’t. If you do these things, you will come out with so many of your questions answered, and you will probably have several more questions arise, but you will have the resources to find the answers. You will a support system in place to help you achieve your goals. You will no longer be stuck! And you will have taken the first steps towards starting a thriving work-at-home career. Your exploration towards starting a profitable work-from-home career can start today. With your ticket, along with access to the Facebook group, you will get FREEBIES as well. 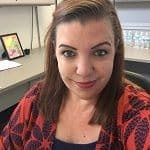 Sign up for FREE courses here to explore the different options, and check out the “Work-from-Home Spotlights.” The Work-from-Home Spotlights are the stories of people who have been where you are, but they got their questions answered and went on to achieve their goal of working-from-home successfully. And as always, I am here to answer any questions you have about starting a work-from-home career. Leave your questions below and I will do my best to answer right away.